Today, two famous American twins celebrate their birthday! 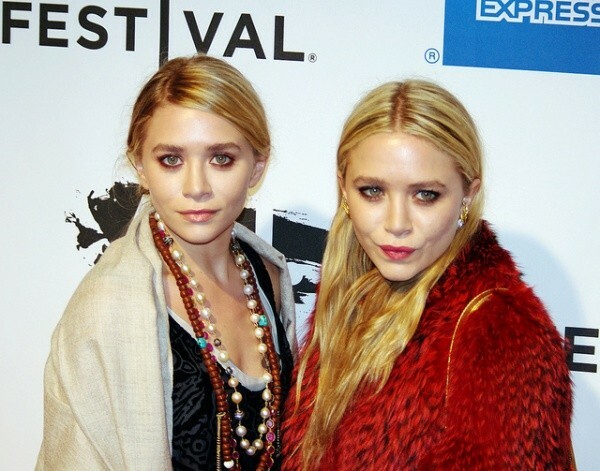 Mary-Kate and Ashley Olsen are 25. They started their career at the age of six months in popular Full House. They played one character Michelle Tanner and became famous! In future producers see only twins in movies, so girls played together in every movie. Despite all critics, girls always achieved what they wanted. After their collaboration with Wal-Mart, girls started working in fashion industry. They created their own couture fashion label The Row, but they have been criticized by animal rights group PETA for their use of fur in their fashion line. So, Happy Birthday, girls! We wish many roles in future and good luck in all your beginnings!